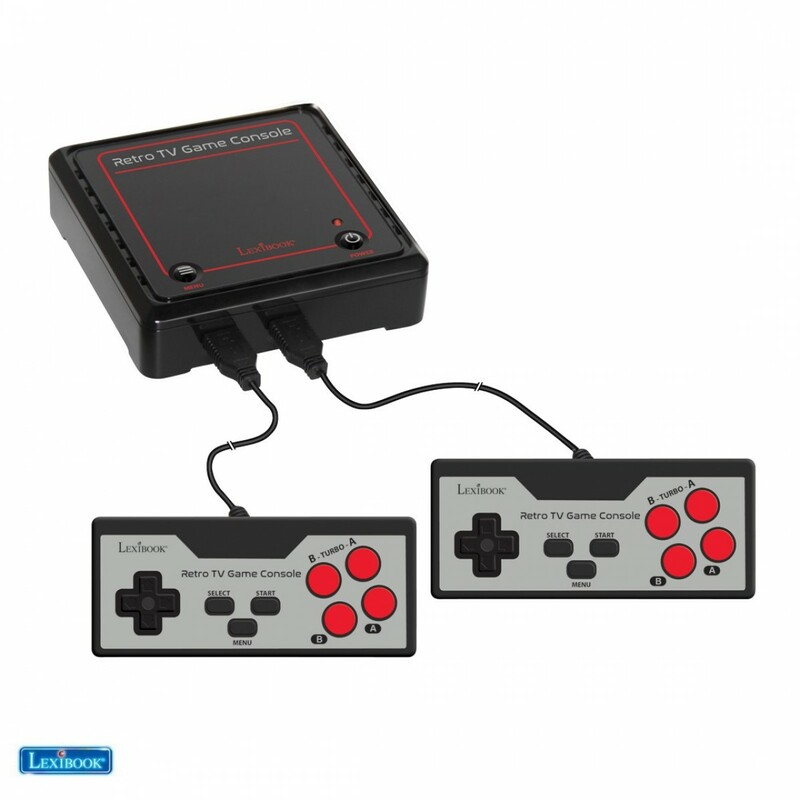 - 300 built-in 8 to 16-bit Plug N’Play games including the greatest classics of video gaming! 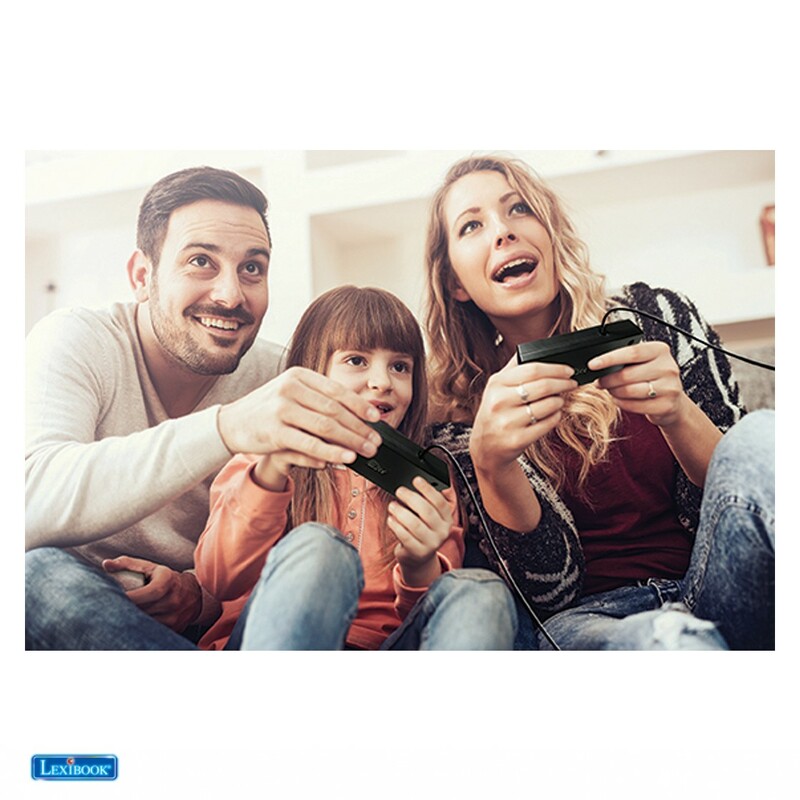 - Play sport, racing, arcade, action, logic games… and much more to discover! - Multi-player: enjoy 2-player games! - Power supply: AC/DC adapter (included). 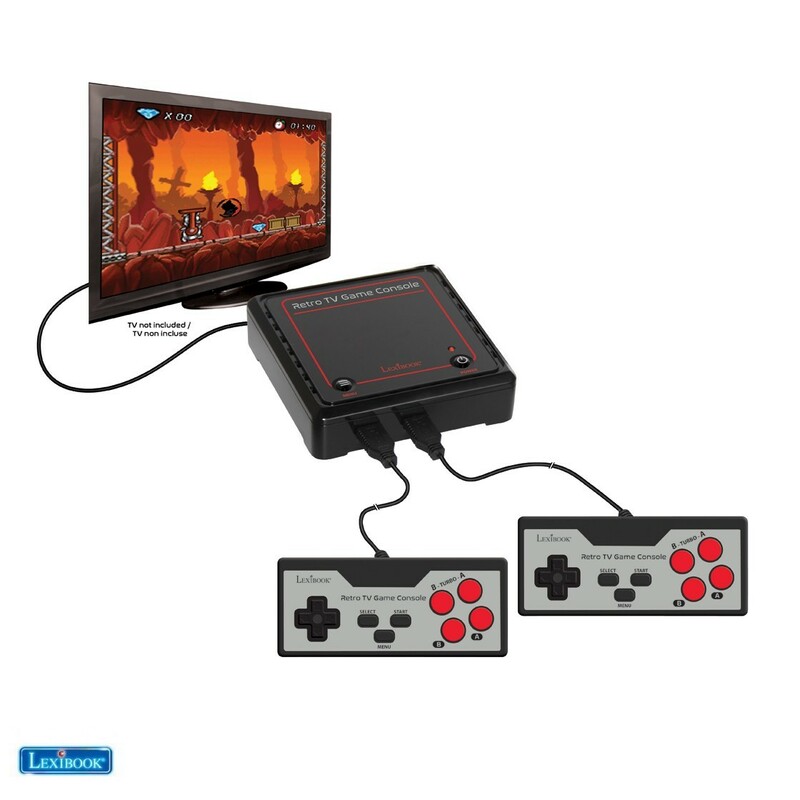 - Includes : 1 console + 2 controllers + 1 AV cable (RCA connection) + 1 AC/DC adapter + 1 instruction manual. TV not included. - Designed and developed in Europe – Made in China. 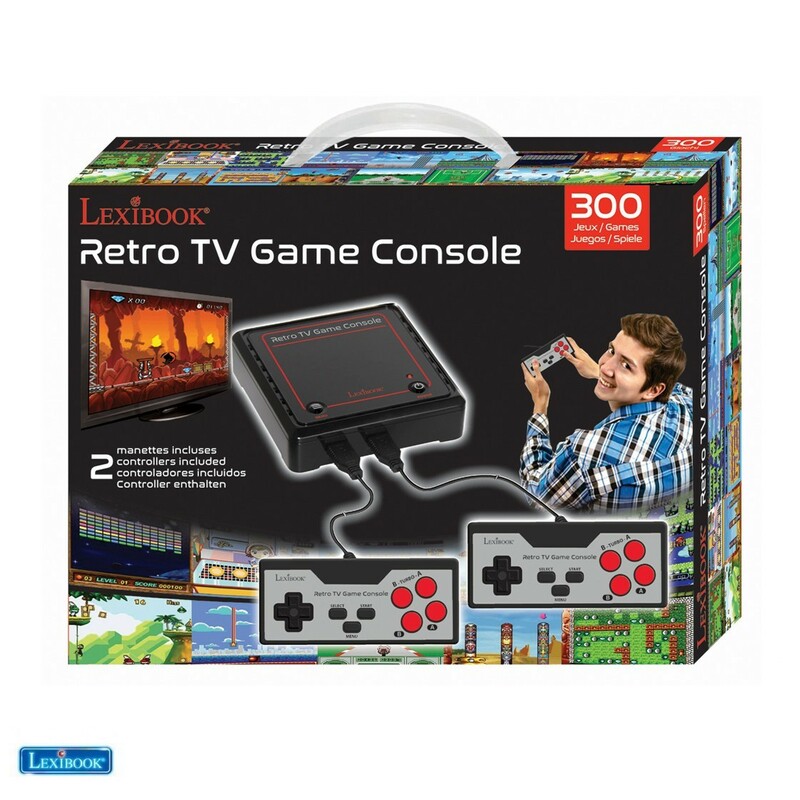 Review "Retro game console with 2 controllers and 300 games multiplayer TV plug & play"